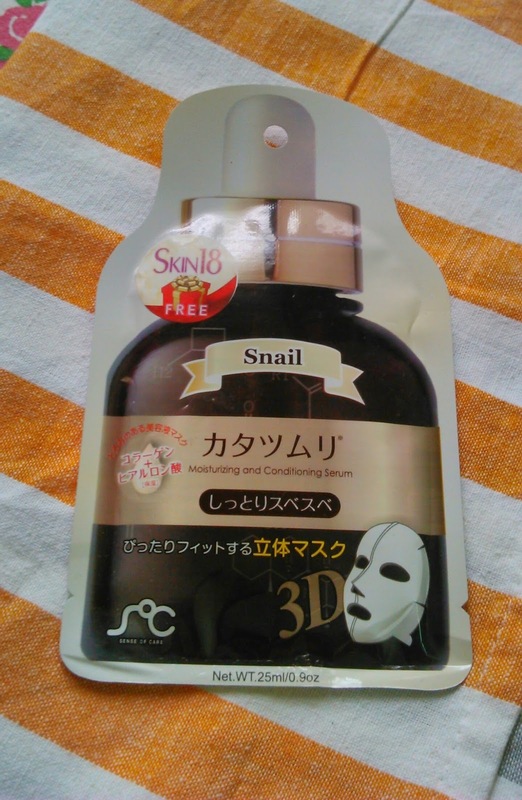 The main element of sticky snail’s muslin is a chondroitin sulfate. It is excellent in skin elasticity and immune enhancement as well as skin moisturizing. Cleanse and dry face thoroughly. 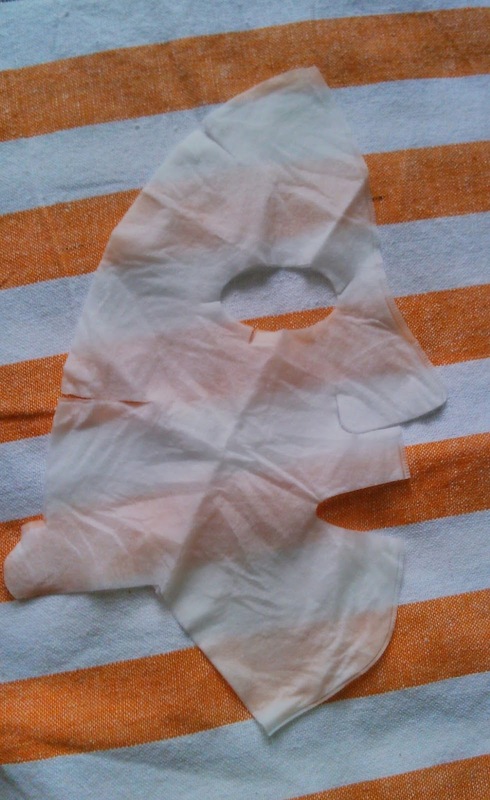 Open pouch, remove, SOC 3D Facial Mask, and apply to face. Leave on face for 15-45 minutes.Remove mask and pat until essence is fully absorbed. I applied the mask after cleansing my face. The mask fit was ok sort but it was better than the earlier ones. Since it is a pre sewed mask it is supposed to fit properly. But then one size doesnt fit all. I wasn't worried about the mask fitting as I was concentrating on the essence. The essence is very thick in nature and has a very mild fragrance. The essence is transparent in nature and gel sort so it takes time for the skin to absorb the essence. 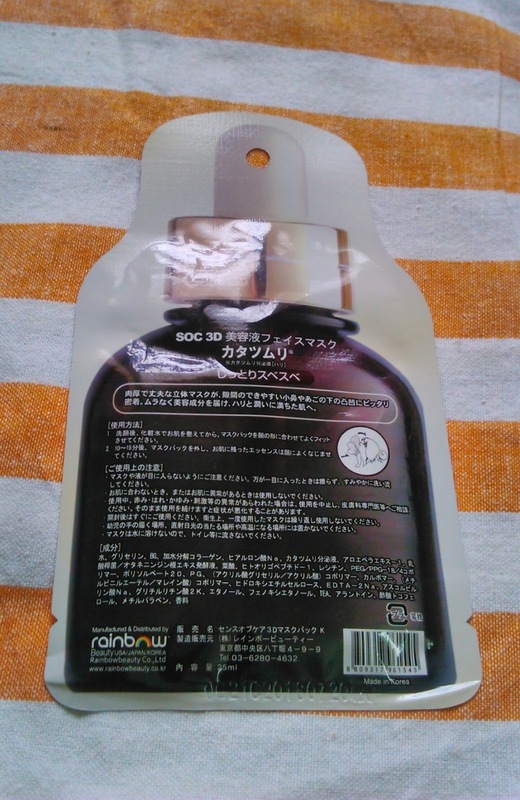 The fragrance is similar to the other masks which I have already reviewed. As soon as we put on the mask the fragrance fades away. I removed the mask after 15 minutes and dabbed the essence and waited for the essence to dry up. I washed off the essence carefully and patted my skin dry. I squeezed out the essence after using to take a pic. My skin felt smooth and the skin tone was evened up. I felt an instant glow on my face. The skin was felling fresh and silky. I washed my face directly before going to bed and then too I didn't feel like moisturising my skin. Travel friendly. It is way too small compared to even other manly packagings. Availability Available on Skin18.com.website at affordable prices. Shelf life - expiry date is provided but I cannot read any manufacturing date as the packaging instructions are in Korean language. The essence is quite thick in nature and has mild or no fragrance at all. The packaging is very very travel friendly. The mask intensely moisturises the kin and makes it smooth and soft. It will suit all skin types. Recommendation - Yes as it intensely nourishes the skin and moisturizes it giving an instant glow.